I recently have discovered that I harbor an intense love for jelly finish polishes. 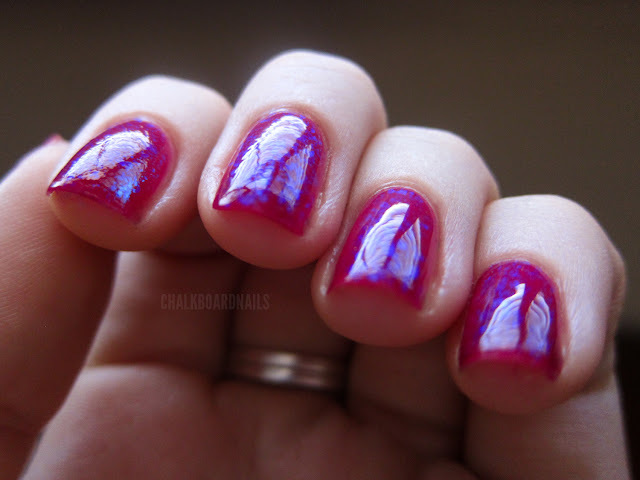 A jelly is a sheer polish that is intended to be built up with multiple layers. They are very shiny, and usually give the look of depth on the nail. They are great for layering with glitters and flakies! 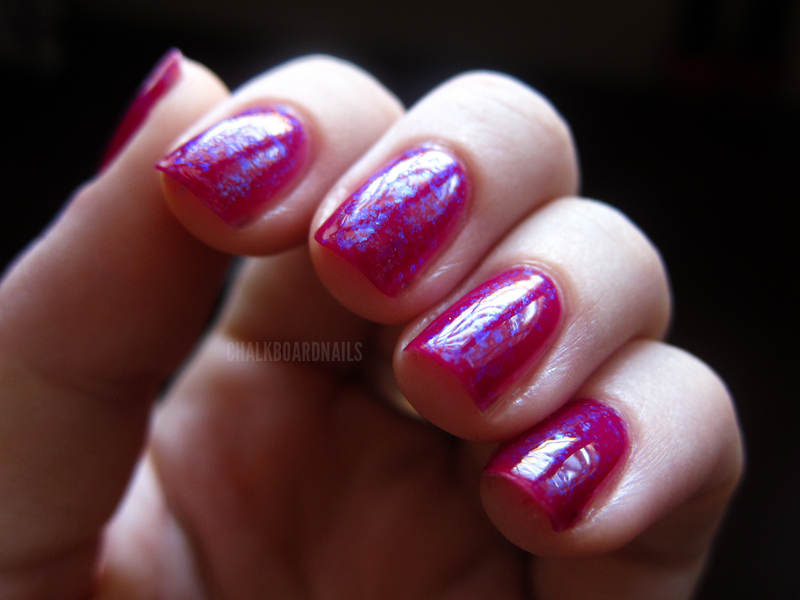 A jelly sandwich is when you put down a few layers of a jelly, then a glitter or a flakie polish, and then finish it with another layer of the jelly (or two, if you can get away with it without covering up the glitter/flakie). The jelly is sheer, so you can still see the layer below it, but it looks like it is buried or suspended in the polish. So the other day I picked up three of the OPI Texas Collection jellies (though I think these ones are technically called 'sorbets' by OPI). Today I will be showing you a layering combo with Houston We Have a Purple. For this look I did two coats of HWHAP, then a layer of Nfu Oh #50, and then another coat of HWHAP. I finished with two coats of SV to bump up the shine, but this was already pretty shiny on it's own. What do you guys think? Would you rather just layer the Nfu Oh on top and not cover it up again? I should have taken pics at that point last night, before I added the last layer of jelly, but the lighting was bad and so I didn't. Have you made jelly sandwiches before? Do you like them? I think this was the perfect choice for layering the Nfu Oh! It's gorgeous. great! I wouldn't have tought about adding a jelly over flakies but it looks great! 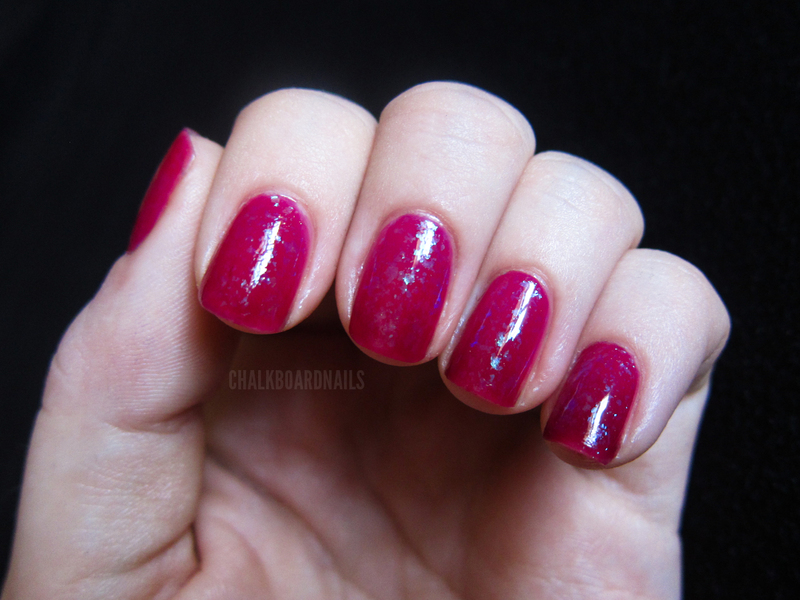 I'm a lover a jelly-glitter combo! So beautiful! I had no idea what a "jelly sandwich" was now I want to try it out! LOL! I think it looks great just like this! I am in love with jelly sandwiches! I have yet to try this-but really need to! Definitely the sandwich effect vs just an overlay of Nfu Oh50. I am headed now to get my HWHAP right now and grabbing a few flakies to play! I am in love.